Tonight, after missing a couple of other films as sold out and finding the standby lines like those at an airport, I got in to see “Partly Private”, a little film about circumcision originated in Quebec directed by Danae Elon. The film website is this and gives the subtitle “A Long Journey to a Short Cut”/ A thirty-something Jewish couple (Philip Touitou and his wife who is the director Danae Elon herself) living in Queens ponders the practice of circumcising their two sons. Early in the film, they have a religious ceremony and celebration in their apartment for the first boy, but then the wife goes on a quest about the whole practice. It takes her to Turkey, where it is practiced on boys in the 6-9 year range with great festivity, to the Middle East, to an examination of the feldspar supposedly used by Abraham in the Bible. The film notes that, while circumcision is very common in the United States, it is much less common everywhere else, including Britain. The couple works with their obstetrician, who explains the mechanics of those little devices. A little of the footage is quite graphic and would be illegal except for the special context here. The film won an award at Tribeca Film Festival in 2009 as Best New York Documentary. The film is shot in old 4:3 aspect ratio. Danae gives an interview on Indiewire here. Visitors may want to look at the Stop Infant Circumcision website here. The point is that this is really a form of male genital mutilation, taken against babies out of religious tradition and not much else, taking something away that might be part of a whole man. The film was preceded by a short “Kinda Sutra” directed by Jessica Yu, partly animated, nine minutes, showing where babies come from. Various young people give out the urban legends told by their parents about the stork; one young man thought that everytime he did a number-2 he had to check that he wasn’t responsible for a new baby. 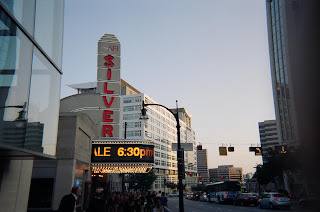 The films played to an almost sold-out audience in AFI Silver Auditorium #2 on the evening of June 18.